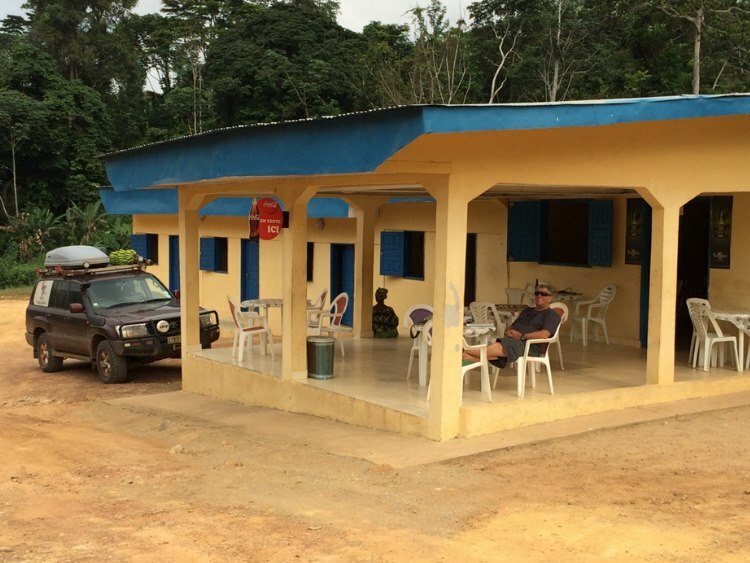 The team decided to leave early and have breakfast on the road towards Libreville which would be a distance of 600km. This day saw Lipstick driving through very dense forest areas but on fairly good tar road winding itself through the forest hills with a bend in the road coming up at least twice every km. The forest shows some huge trees reaching 40 to 50 m in height and both sides of the road were covered with bush giving the team almost the feeling to drive between 2 green walls. 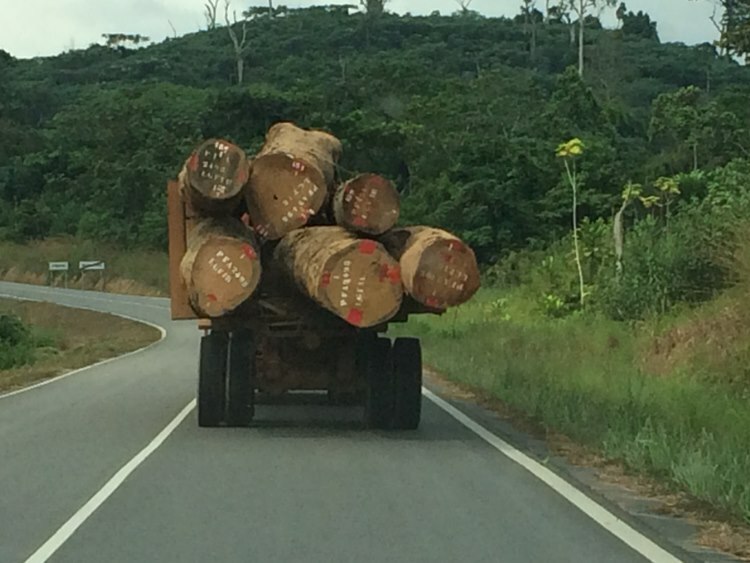 The villages being past consist of not more than 8-10 houses and every now and then huge trucks carrying a log needed to be passed. On the road a small restaurant on the side of the road was spotted and the team decided to have a small breakfast. 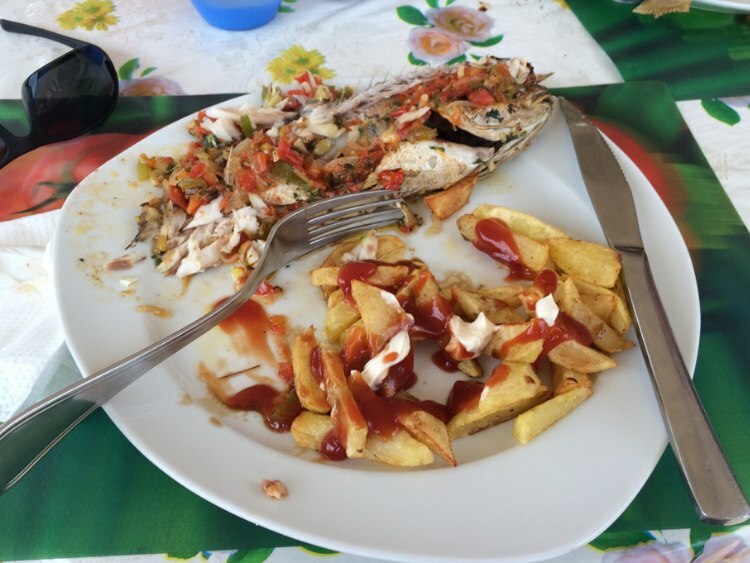 Thankfully this mud river fish came with a load of chips so the team’s stomachs were full and the fish tasted not too bad but was full of bones and the dead fish head was not too attractive either. 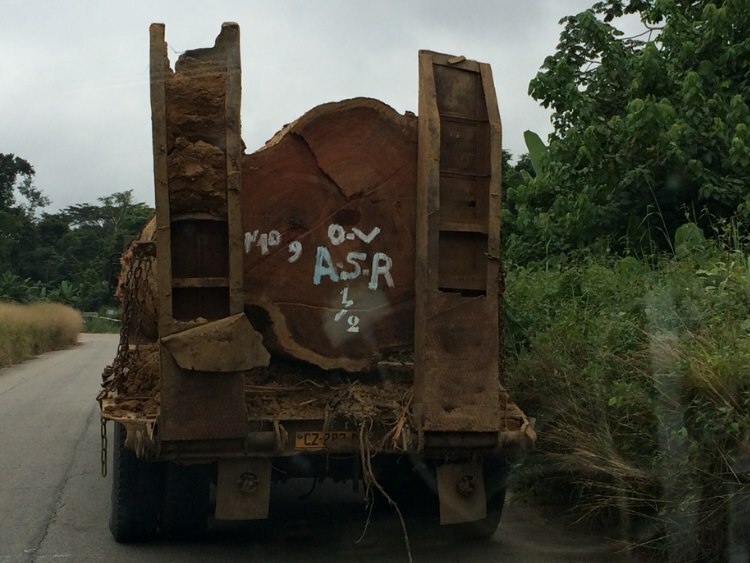 In this part of the world timber seems to be the only source of revenue and the roads are full with heavy trucks carrying trees of 1.6m in diameter. 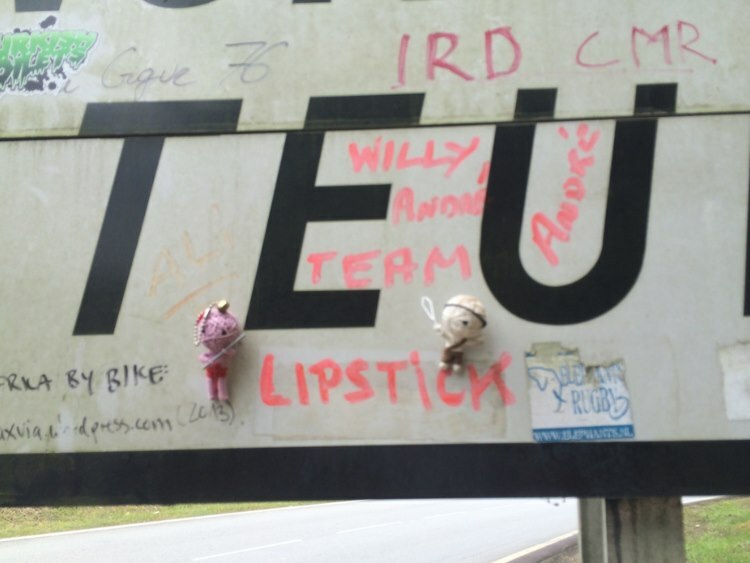 Team Lipstick and their mascots Natnas & Xela are crossing the equator……. 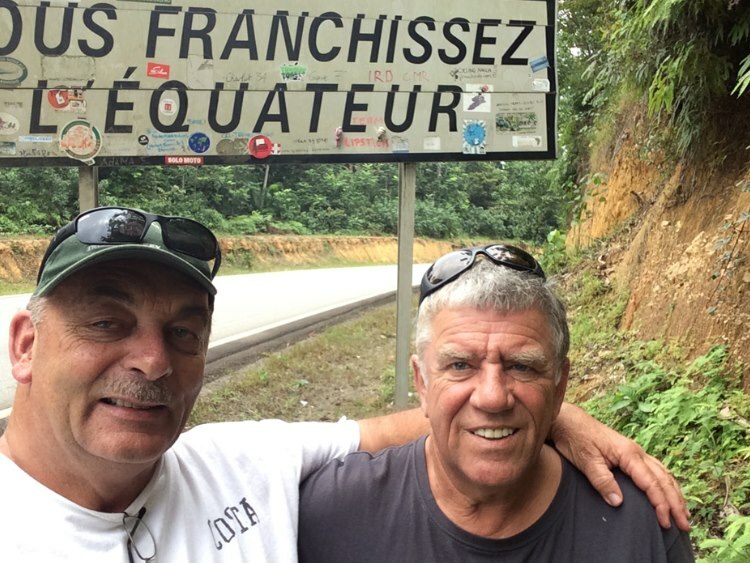 The ever winding roads and bends soon took thetoll on Lipstick and the team realised that the brake pads which were replaced in Douala were already wearing off after only 1100 km. Obviously the pads must have come from some pirate manufacturers possibly in China and about 150km from Libreville Lipstick had to be driven in 1st and 2nd low range gears as breaking became impossible. Limping into Libreville the team was fortunate to locate a Toyota garage after passing through extreme traffic but unfortunately it was too late in the afternoon. The GPS coordinates of the garage was saved into the Garmin and the team proceeded to the closest hotel to stay over for the night.